Wilderness wonderlands and getaways that are free of dangerous predators deliver the supreme gift of freedom. Freedom to walk, freedom to hike, freedom to horse ride or picnic close to nature without threat of dangerous predators. Here are some spectacular nature getaways in South Africa where the wilderness offers safe, predator-free access to its magic. 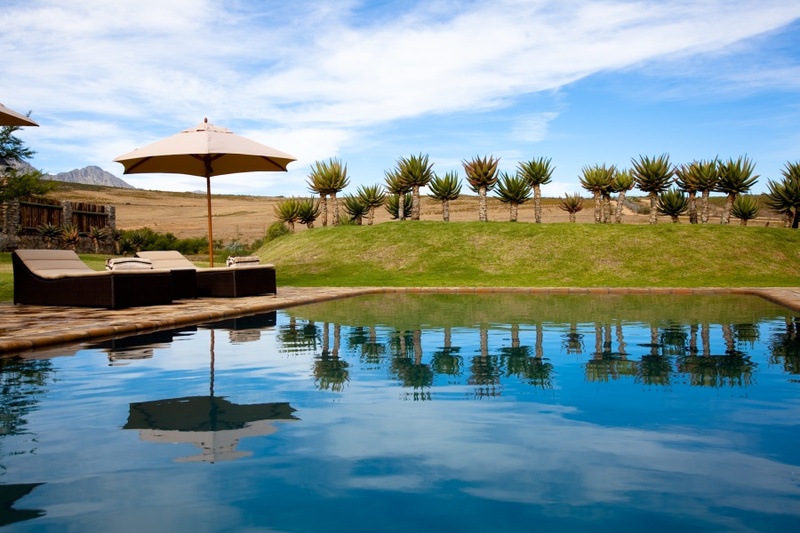 Eco-friendly Three Trees at Spioenkop has the mighty Drakensberg Mountains as its backdrop. The lodge is set on 1300 hectares of glorious earth, on which you can do marked hiking trails, enjoy the fantastic bird life, horse ride, and take to the mountains on a bike. There are plenty of safe nature experiences for adults and children, in the company of warm, enthusiastic and attentive hosts. Mail us. Another beautiful and predator-free reserve in KwaZulu-Natal is Pakamisa Lodge. It’s a 5-star sanctuary in northern Zululand and traverses 2500 hectares where giraffe, zebra, wildebeest, a multitude of antelope, warthog and monkeys are at home. 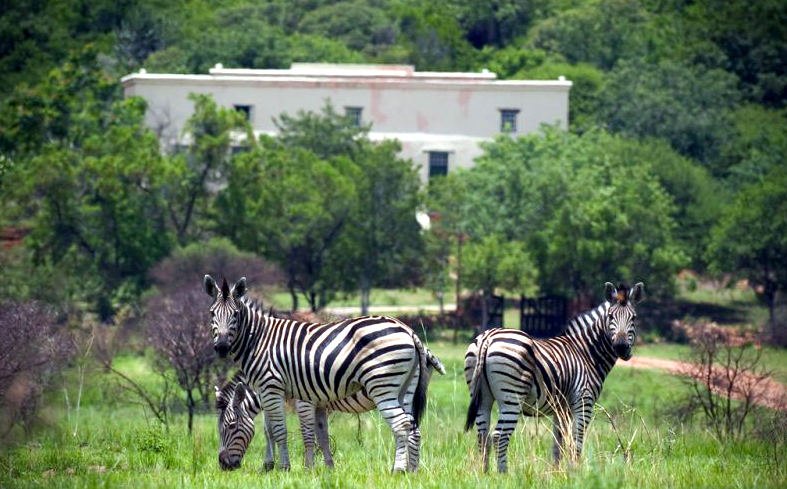 Animal viewing is done both on game viewing vehicle and on foot, along some wonderful bush trails. 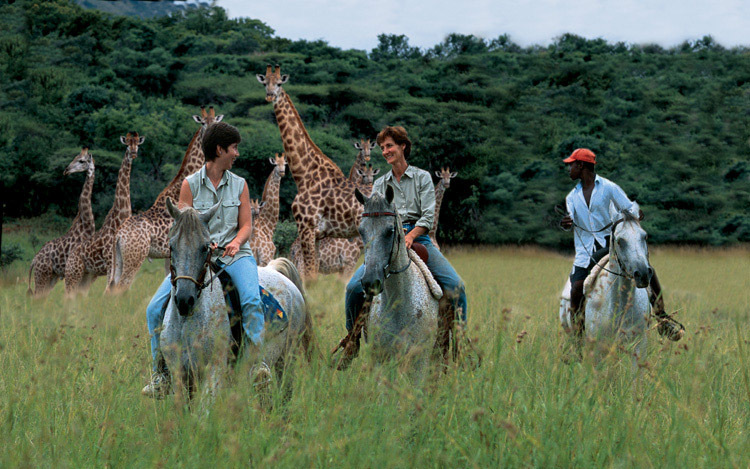 Horse riding safaris are a special feature at Pakamisa; they are professionally guided, often include memorable bush breakfasts or picnics and are tailored to suit the guests, each guest being carefully matched with his or her “holiday horse”. Some of the horses at Pakamisa are Pure Arabians and others are crossbreeds. Mail us. A magical landscape seems to roll on forever at Bushmans Kloof Wilderness Reserve and Retreat, situated at the base of the majestic Cederberg Mountains. Many plants and animals flourish here. 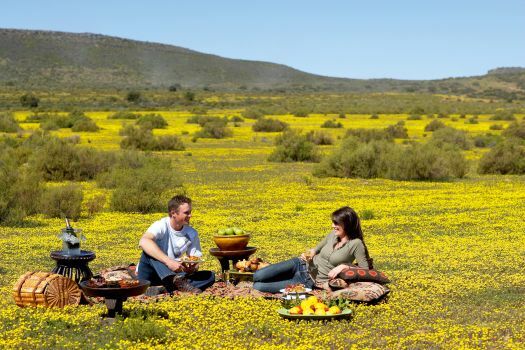 The Fynbos, Forest and Karoo biomes are represented in the plant life at Bushmans Kloof, and wildflower season (July – October) is an absolute treat and the perfect time of year for a picnic amid carpets of flowers. This is perfectly safe at Bushmans Kloof – there are indeed Cape Leopards in the reserve, but they stay well hidden in remote parts of the mountains. 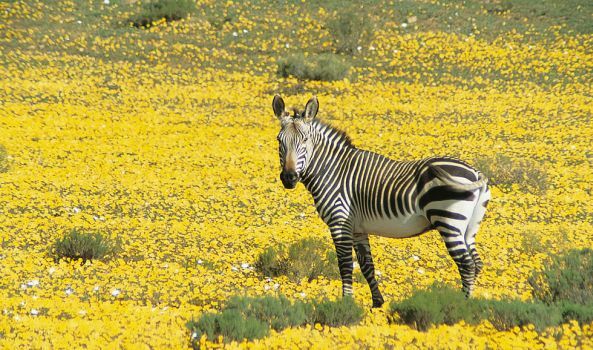 The animals you are likey to see are herds of Cape Mountain Zebrea, Bontebok, Ostrich, Grey Rhebok and others. The landscape gives you the freedom to hike and bike up close with nature – you can do this on a guided or self-guided basis; swim in clear rock pools and go canoeing along tributaries of the Olifants River system. Mail us. Another pristine predator-free wilderness in the Western Cape is the Grootbos Private Nature Reserve set above Walker Bay. Grootbos is well known for its superb and expertly guided nature activities, including forest walks, coastal experiences, ocean adventures, flower safaris, horse riding, scenic flights, quad biking and hiking. 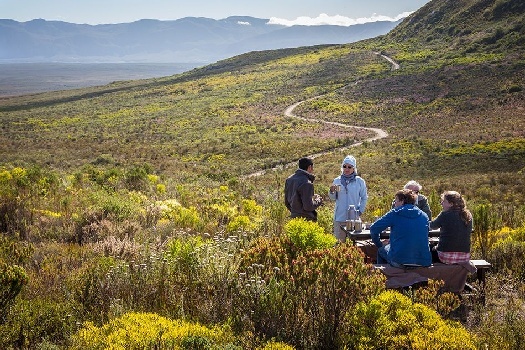 The plant life at Grootbos is rich and diverse, and you will connect closely with the landscape during your guided excursions. 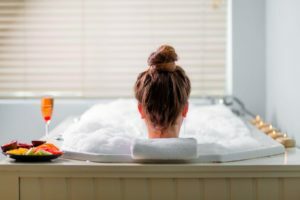 You can even elect to have your spa treatment outdoors, in a cool, mysterious forest of ancient Milkwoods. Mail us. 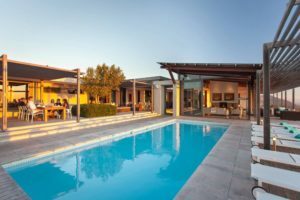 Swartberg Private Game Lodge offers a private, self-catering wildlife safari and nature experience at Swartberg Private Game Lodge in the Little Karoo. Available to families or small groups for exclusive-use holiday rental, this five-bedroom Karoo-style lodge is set on a malaria-free wildlife estate, home to a variety of antelope, as well as Giraffe and Cape Mountain Zebra. Free of large predators, the estate offers guests the opportunity to safely explore the terrain on foot or on mountain bike. Kedar Country Hotel is an appealing escape from the city, located in the Rustenberg area 21 km away from Sun City on what was once the farm of Paul Kruger. 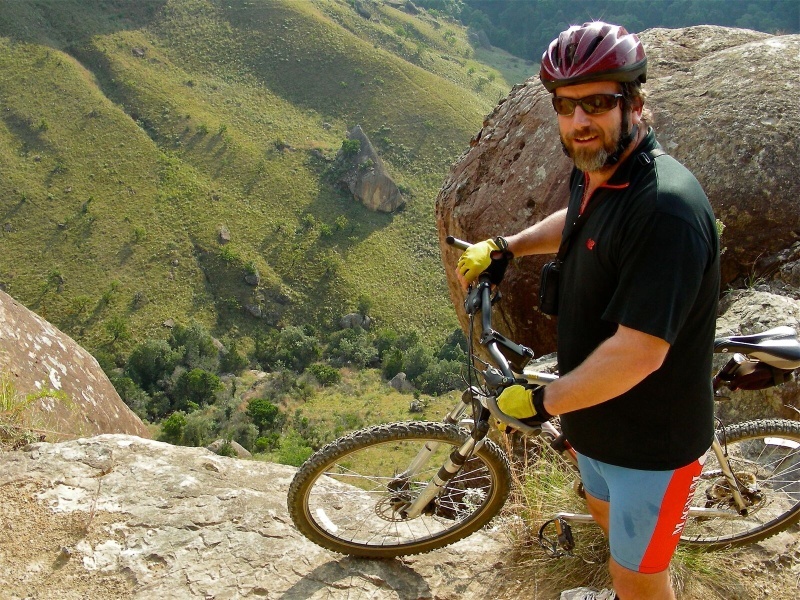 Hiking and mountain biking, game drives and fishing can be done on the property. Share the Kedar countryside with eland, blesbok, impala, bushbuck, nyala, kudu, zebra, blue wildebeest, giraffe, sable and two endangered pygmy hippos. Mail us. Mail us to book your getaway in South Africa, or call 0860 102 907 (local) or +27 21 797-7122.